A co-worker of mine mentioned a Cup Cake shop in town that had gluten free cup cakes. Matter of fact, for fans of Cup Cake Wars on the Food Channel, these women actually won their challenge on the show doing gluten free cup cakes. So, being that I am a Celiac we went on over to this shop and had a couple of scrumptious cup cakes. I should have taken photos of those, but we ate them so quickly it didn’t occur to me. However this was one of the cakes they had displayed there and I don’t think it was gluten free as they sell regular cup cakes and cakes there as well. 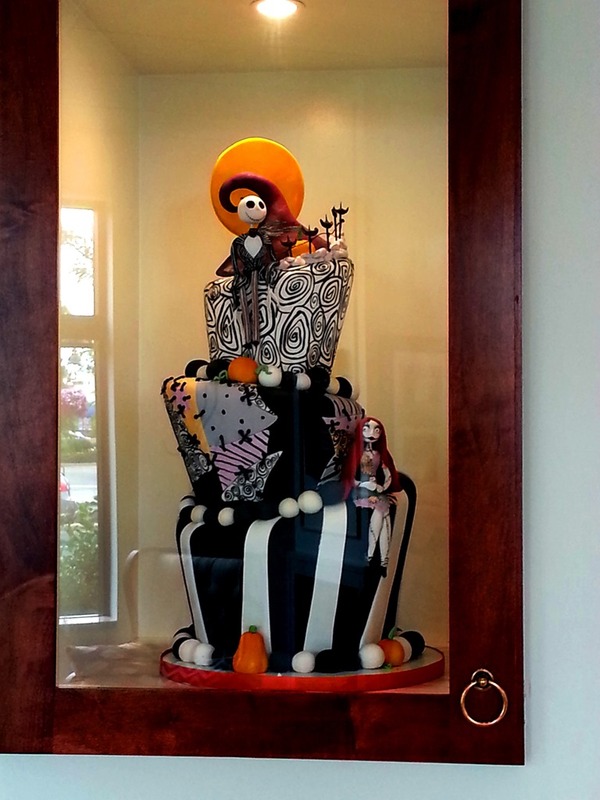 This is a Nightmare Before Christmas Cake. Very cool!